So where can you go work out and have great conversations with other strong women of all ages? No, it’s not your mama’s workout gym. It’s a phenomenon that has changed women’s fitness. It is Curves, and Curves franchises are popping up everywhere. It is the ninth largest franchise in the country. I have just learned there is one Curves for every two McDonalds in America. Since I’m not walking as often as I was, living in London, I decided I needed to do something, on a regular basis, and it needed to be quick, with two small kids at home. 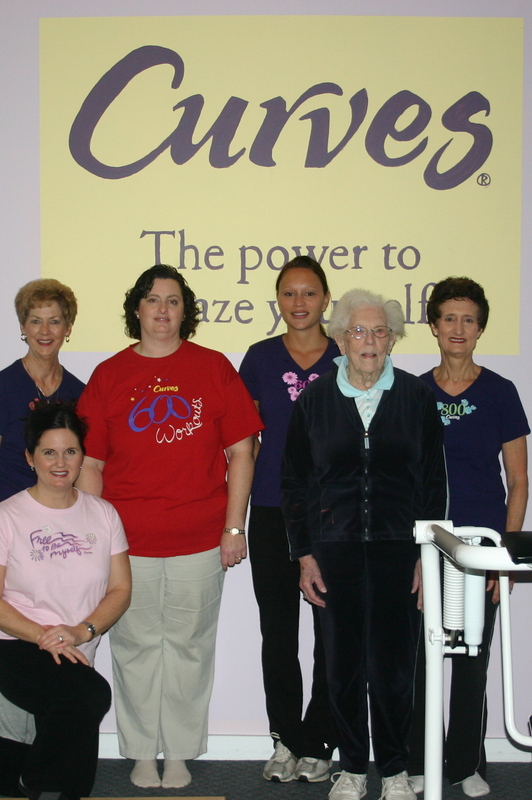 When I visited Curves a few months before joining, I had misgivings. The brilliant thing is that you can truly do it at your own pace. The more you put in, the more you will get out of it. The circuit takes only 30 minutes to complete. And the time flies because usually you are chatting it up with others working out, as the circuit sits in a circle so you are facing each other. They’ve added a workout incorporating Zumba, which is fun and challenging. So I’ve been indoctrinated. Now I’m a believer. On any given day, I work out next to women in their 20s or women in their 80s (I believe my local Curves’ oldest member just turned 90 this year…go Dinah!). So check it out. I feel better and have more energy. Soon I’ll be running circles around my kids…which, if you know them, this is saying a lot!